Имате въпрос към Go Hotels Mandaluyong? Удобно разположен в Манила, Go Hotels Mandaluyong е чудесна стартова точка, от която можете да започнете да проучвате този оживен град. Този 3-звезден хотел е леснодостъпен, тъй като е само на 11 km от летището. С удобното си местоположение хотелът предлага лесен достъп до всички градски забележителности, които задължително трябва да се видят. GO Hotels е известна със своите качествени услуги и добре обучен персонал и Go Hotels Mandaluyong изпълнява всички тези изисквания. Хотелът е оборудван със съоръжения като безплатен WiFi достъп във всички стаи, 24-часова охрана, магазин за смесени стоки, достъп за инвалидна количка, 24-часова рецепция. 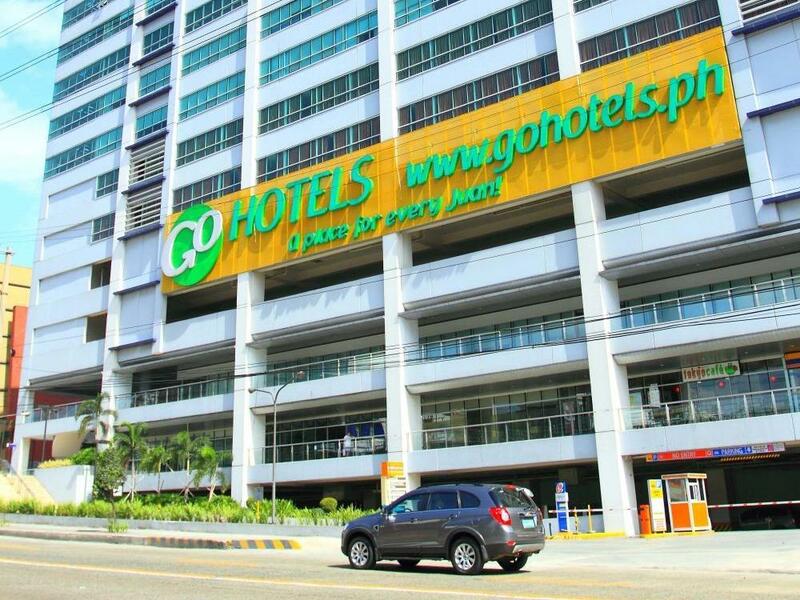 Атмосферата на Go Hotels Mandaluyong се усеща във всяка стая. Удобства като телевизор с плосък екран, огледало, хавлии, безжичен интернет достъп (безплатен), стаи за непушачи са само някои от даденостите на обекта. Хотелът предлага прекрасни развлекателни съоръжения, такива като масаж, които ще направят престоя ви незабравим. Открийте интригуващата комбинация от професионално обслужване и широка гама удобства в Go Hotels Mandaluyong. Eating inside the room is not allowed. Guests may dine at the common areas with designated tables and chairs. An additional charge will be required for use of the luggage storage, use of hair dryer and flat iron with board. Гости, които напускат хотела след 02:00 PM ще бъдат таксувани допълнителна такса в размер на една нощувка. A very affordable yet the true hotel feels are still there. They're quick to accommodate guests issues. I've had a great stay in this hotel. Front desk should be more attentive to the guests coz I notice them that their attention are more on chatting. Everything is OK except for one weird policy — wherein they don’t allow to bring and eat food inside the rooms. This is my first time to experience such policy. Checking-in was a breeze. The staff are also very nice. I commend the housekeeper especially in the 6th floor that time, we already checked-out when we realized we left a watch in the room. We contacted them immediately and it was surrendered to the reception area. They asked us to claim it after. About the room, it was clean and okay aside from the sticky floor. The bed is great. Nice bathroom. However, the elevators are very slow and you cannot eat in the room. There’s also no refrigerator, blower and bidet. Check-out is strictly at 11 in the morning. I've been to this branch numerous times so I can say not all rooms were created equal. some rooms had strong Wi-Fi signals, some had wonky air conditioning and one room's safe was even acting up with its constant beeping! but overall, the hotel is great considering its price and location. Two complaints: check-in is at 2pm but checkout is at 11am, so that's less time than other hotels. also, if you want to check in earlier, you have to pay 560 pesos. I stayed at this hotel because I was only transiting through Manila. It was a reasonably priced hotel. It was enough for people who usually spend most of the day traveling outside. It had the basic amenities as well. Staff were courteous and helpful. The location is satisfactory as it is close to the highway, mall, and metro station. I usually stay at this hotel for only a few days. The hotel is very basic. It is ideal for someone who won't be staying for the whole day. 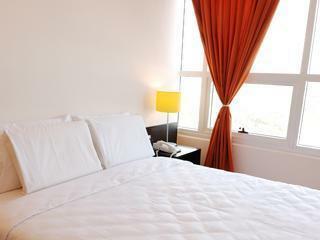 You have the bed, cable tv (the channels are good btw) and shower (towel, soap and shampoo are provided) and that's it. No pools or gym and other hotel facilities. The room do not have closets but only some rods you can hang your clothes with. One major turn off is that you cannot eat inside the room. There are areas in the lobby where you can eat though (vendos are provided for drinks and snacks at minimal fee). Location wise, it is very accessible. It is along Edsa where you have access to buses, taxis and the mrt. Robinsons mall is just beside it where you can dine and shop for groceries and other needs. There is also a new SM mall a few meters away. I always avail their massage service after a long day. The rate is competitive with other spas around. Tips: They have inner rooms so ask for a room with windows if you are claustrophobic. Every wed, thu, and fri night, there is a bancheto (food fair) behind the hotel with lots of food choices. Quick checkim and checkout. Value for money. Centrally located. Very comfortable. They allowed us to checkin early (6am) at a small fee. Rooms were above average clean and well taken care of. Lobby is spacious. None of that claustrophobicness budget hotels have. Staff is very kind. it is centrally located. close to transportation and shopping areas.clean. i like my stay there. if one is looking for a budget hotel with just the basic things and not look for any frills at all, then this is the hotel for you.you get what you paid for.it is right beside the mall. so if you want anything - groceries, shopping, dining, there is no hassle and since the bus stop and mrt station is just nearby, transportation is very accessible. As an ofw i go back once or twice a year. When i learned about gohotel in 2012 the service and facilities and everything were extraordinaire considering its just a budget hotel. That was then. Now facilities like hot and cold shower needs maintenance. But what im quite disappointed with my last stay was its customer service. Some front office staffs aren’t accommodating and always smiling like they used to be. I also requested for a paid late check out twice the day before and yet key cards were not working upon coming back from a tiring day outside only to be told by a front desk staff that cards should be re-activated with an unwelcoming facial expression. A simple sorry should’ve been good? Tourism will only increase and with other budget hotels and airbnb’s out there you might wanna strategize, maintain and innovate to maintain your guests turnover. The location was very convenient for us since we arrived late from an out of town trip. The room was comfortable and relaxing, just what we needed at the time. Would definitely recommend it to my friends. Stayed here several times and have no complains at all.Satisfied and Happy to stay again. Good location. Near a mall. Clean. Friendly staff. Secure.